Stocks jump as much as 105% in 30 days…and still rising! Undervalued Chemesis International Inc. (OTC: CADMF / CSE: CSI) is the single best way for investors to play this fast-moving scenario. While most cannabis investors are still looking to Canadian producers for big stock profits, the California pot market is starting to rise like a tsunami. The savviest investors are jumping from Canadian cannabis stocks to catch the California wave. If you’re out for big profits, it’s time for you to jump in too. Consider this. In the 30 days ending September 11, these California-focused cannabis stocks have given their investors returns that beat the market by an average of 29-to-1. No other industry today is recording these kinds of returns. Not technology, not Internet retail, not industrials or oil and gas. California-focused cannabis stocks are out-performing nearly everything else in the market, and this is just the beginning. Legal sales of recreational cannabis began in California on January 1, 2018. The state gave sellers six months to become compliant with new regulations. By July 1 they had to be in strict compliance on purity testing, safety packaging, and content labeling of products. Plenty failed to meet the stringent standards, and the state started shutting them down. But those that are compliant have seen their stocks soar as laggards are weeded out. These companies are benefitting from what will soon be the world’s biggest legal cannabis market. California is already the largest cannabis market in the world – by a long shot. ArcView Market Research estimates that the legal and illegal cannabis market in the state surpassed $8 billion in 2016. Newsweek puts the figure even higher at $13.5 billion. The California legal medicinal market alone is responsible for an estimated 62% of US sales. Now, with legalization, much of the illegal sales will transfer to legal dispensaries, contributing to a growth rate for legal cannabis that is expected to compound at an annual rate of 23%. By comparison, the entire Canadian cannabis market is $4.2 billion. It’s easy to see why California legal sales will surpass all of Canada’s. More people live in California than in all of Canada. And California’s GDP is nearly three times larger than Canada’s. That means there are more people to use cannabis and more money to buy larger quantities of it. To put California’s massive cannabis market size in perspective, experts believe legal cannabis sales could surpass beer sales in the state by the end of 2019, topping $5 billion, and $6.5 billion by 2020. All of which is why California-focused cannabis companies will grow the largest and will dominate the market for years to come. For comparison, take a look at how cannabis legalization in Canada fueled investor profits. Though medicinal cannabis has been legal in Canada since 2001, until 2014 it could only be purchased through the government. Laws were relaxed in 2014 to allow sales through private companies. That triggered a gold rush, and produced the first wave of cannabis stock millionaires. 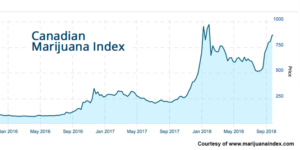 Investors saw returns as high as 9,755% in Abattis Bioceuticals and 9,150% in United Cannabis. There’s no question that Canada’s cannabis stocks have made investors rich. In the last 12 months the Canadian Marijuana Index has shot up 291%, despite a dramatic pullback in January. The last three years has seen a 1,437% rise. But for Canada-focused cannabis companies, the biggest gains are behind them. The market leaders have already been established. Now you will see a wave of consolidation as second-tier companies are bought up or go out of business, unable to compete with the geographic range and low production costs of the leaders. That’s why savvy investors are turning to California. 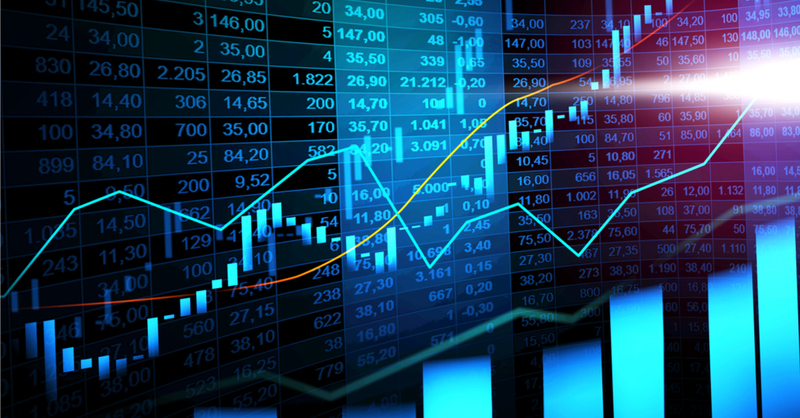 Savvy investors are buying up stocks like Solis Tek (SLTK), CannaRoyalty (CNNRF), MedMen (MMNFF), Chemesis International (CADMF), and Sunniva (SNNVF). These are not only the dominant players in California, they are among the few players there. One of the reasons is because the new rules are making it harder for new companies to find their financial footing, with licenses and compliance for everything from product potency and zoning requiring the expenditure of tens of thousands of dollars. “Since all of the regulations went into place, now it takes a few hundred thousand to a few million to start,” said Kimberly Cargile, CEO of Sacramento retailer A Therapeutic Alternative. Morgan Paxhia, founder of Poseidon Asset Management, notes that there are thousands of sellers in the state that have been put out of business because they don’t have the capital or expertise to meet regulatory requirements. One cannabis company that has what it takes to attract the kind of venture capital necessary to be a major player is Chemesis International (OTC: CADMF / CSE: CSI). On August 7, 2018 Chemesis announced the finalization of a draw-down $25 million equity financing deal with Alumina Partners, a New York-based private equity firm. The financing is at the sole discretion of Chemesis, allowing the company to access funds as needed. The financing is designed to protect shareholder value while the company aggressively grows its market share. Such major investments are rare for early stage companies, and serves as a validation of Chemesis’ business plan and growth strategy. Terms of the deal allow Alumina Partners the purchase of up to $25 million in Chemesis units, consisting of one common share at a 15-25% discount to market price, and one purchase warrant at a 50% premium over market price, all at the exclusive discretion of Chemesis. There are no upfront fees or interest associated with the use of the financing. Such robust financing is rare for cannabis companies doing business in California. For one thing, cannabis is still illegal on the Federal level. This has stopped many venture capitalists from wanting to participate in the market. President Trump has promised to protect states that have legalized cannabis. His position was made clear in April of 2018 when he told Colorado Senator Cory Gardner that the state’s cannabis industry would not be targeted, despite the objections of Attorney General Jeff Sessions. What’s more, in April, the US House of Representatives proposed legislation to loosen federal cannabis regulations. Even formerly staunch opponents are coming around, including former House Speaker John Boehner and conservative Republican congressmen Dana Rohrabacher and Tom Garrett. More than half of US states allow some form of cannabis use, either medical or medical and recreational. By the end of 2018 that number could be more than three quarters. They are responding to the will of the people: Americans, including Republicans, overwhelmingly support legalization. For these reasons and more, venture capital company Alumina Partners bet big on Chemesis International. What they saw was a company that could dominate its market. In marketing strategy, there’s a term called “first-mover advantage” that offers rare benefit to those companies that can claim it. It’s when a company is among the first key players in a new market or a new industry, and therefore are able to establish themselves before being overrun by competitors. These companies are able to establish strong brand recognition, shore up the best sources of funding, and build a loyal customer base simply because there aren’t any competitors in the way during their first few years of operation. Chemesis is one of the few fully compliant first movers in the California market. The company is vertically integrated, which means they are involved in every stage of the cannabis market from seed to sale. That includes cultivation, product manufacturing, branding, distribution, and retail. The company also owns a state-of-the-art, fully state-compliant facility in Cathedral City, California that provides legal cannabis to a network of dispensaries throughout California. Chemesis also owns 80% of SAP Global, a California producer with a 2,000 pound processing capacity that can yield as much as 200 pounds of compliant cannabis oil per day, which is substantial. SAP is known for its high quality, and has been the recipient of 26 awards in the past five years. The producer is intended to provide Chemesis with a consistent revenue stream as the company invests its resources in aggressive growth strategies. Chemesis also owns Desert Zen, a state-compliant cannabis manufacturing, packaging, distribution, and transport company with a large existing network of dispensaries and distributors throughout California. Importantly, Desert Zen is able to track all products, monitor safety, and ensure that all seed-to-sale laws are followed throughout the entire supply chain. Chemesis projects annual revenue from California operations of $61.5 by 2022, with a net income of $27.2. But California isn’t the company’s only market where they have first-mover advantage. Part of the company’s unique strategy is to be first-to-market as cannabis legalization expands globally. That was how they were able to establish an early presence in California. And it is why they have now expanded into Puerto Rico. With medicinal cannabis now legal in Puerto Rico as of 2017, Chemesis has become a first-mover in that market. More than 20,000 patients have registered for medical cannabis in the first year in the territory. Secretary of Health Rafael Rodriguez Mercado says that the market is “growing exponentially,” with approximately 500 new patients per week. The US territory’s treasury secretary says medical cannabis could generate up to $100 million a year in sales taxes. In August 2018 Chemesis purchased an 80% interest in Natural Ventures PR LLC, a seed-to-sale medicinal cannabis company based in Caguas, Puerto Rico. Natural Ventures has operated since 2017, and is licensed to cultivate 100,000 square feet of cannabis. Chemesis expects their Puerto Rico operations to provide a significant revenue stream totaling $6.7 million in revenue by 2022, with a net income of $2.8 million. On July 1, compliant California cannabis companies put the pedal to the medal. With thousands of non-compliant sellers being wiped from the market, those that remain – the ones with deep-pockets financing and fully compliant facilities and products – will quickly rise to the top. There are only a small number of them, like Solis Tek (SLTK), CannaRoyalty (CNNRF), MedMen (MMNFF), Chemesis International (OTC: CADMF / CSE: CSI), and Sunniva (SNNVF). Chemesis International has distinct advantages. If you’re eager to get your share of big cannabis profits, take a close look at Chemesis (OTC: CADMF / CSE: CSI) today. And remember to always do your own due diligence.